How Could CBD Oil (Cannabidiol) Treat Chronic Pain? 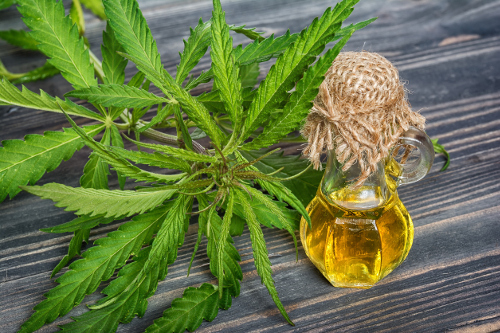 Home » Food and Nutrition » Alternative Remedies » CBD Oil: The New Cure for Chronic Pain? With many states making marijuana legal, there is no lack of discussion about the leafy green drug in the news lately. Unfortunately, it seems that the health benefits of cannabis are being overshadowed by the “drug” aspect of marijuana. What interests me about cannabis culture, and what I would like to share with you, is an extract known as CBD oil and its amazing medical breakthroughs that could potentially treat many modern diseases, including chronic pain. Cannabidiol (CBD) is the name of a compound found in the cannabis plant. It has significant medical benefits, but lacks the tetrahydrocannabinol (THC)-induced “high” commonly associated with traditional marijuana, and doesn’t have any noticeable effect when isolated. The thing about CBD, or CBD oil, to keep in mind is that cannabis does not necessarily mean marijuana. CBD oil is usually extracted from industrial hemp, which has no psychoactive properties. And while hemp and marijuana come from the same cannabis plant, they are found in two different parts. CBD oil is certainly reviving the argument for the use of cannabis for medical purposes! And with such a large amount of clinical research, it is hard to believe that this oil is still considered a controlled substance, and is not available to the public in some states without a medical marijuana license. Scientific and clinical research, much of it sponsored by the U.S. government, underscores CBD’s potential as a treatment for a wide range of conditions, including arthritis, epilepsy, diabetes, multiple sclerosis, chronic pain, depression, alcoholism, and many other ailments. CBD has demonstrated nerve-protecting and nerve-stimulating effects, and its anti-cancer properties are currently being researched in the United States. Some of the most promising evidence for CBD oil use relates to chronic pain. Multiple studies have found that those with chronic pain, whether it is from arthritis, back pain, or fibromyalgia, experience major relief with CBD when painkillers are no longer working. Although the cause of chronic pain is not entirely clear, it may occur due to a problem with the brain chemicals that usually stop pain after you recover from illness or injury. Chronic inflammation can cause pain and damage tissue, and CBD oil seems to be a potentially ideal solution for both short-term relief and long-term safety. It reportedly has no effect on your liver, kidney, or stomach, unlike its prescription and over-the-counter counterparts. How Could CBD Oil Treat Chronic Pain? Research suggests that CBD oil works by interacting with receptors in your brain and immune system. Receptors are tiny proteins attached to your cells that receive chemical signals from different stimuli and help your cells respond. This creates both anti-inflammatory and painkilling effects, which also benefit pain management. This means that CBD oil could help people with chronic pain caused by numerous health issues. The studies conducted on CBD oil and its prospects for pain management have shown a great deal of promise. It may offer a natural alternative to more dangerous, habit-forming medications, such as opioids, for people who have chronic pain. CBD oil also appears to have no serious side effects. Even with all the studies that have been done on CBD oil, much more research is needed to verify the numerous pain-relieving benefits. CBD products aren’t approved by the U.S. Food and Drug Administration for any medical condition. Therefore, they aren’t regulated for purity and dosage like other medications. But with the existing research results on chronic pain and CBD oil, you may want to consider talking to your doctor to see if this is an option for your specific condition that’s approved in your area. http://www.medicalnewstoday.com/articles/317221.php, last accessed May 3, 2017. Terps, T., “10 Little Known Uses for CBD Oil, High Times,” November 3, 2015; http://hightimes.com/culture/10-little-known-uses-for-cbd/, last accessed May 3, 2017.
http://www.leafscience.com/2014/09/16/5-differences-hemp-marijuana/, last accessed May 3, 2017. Xiong, W., et al., “Cannabinoids Suppress Inflammatory and Neuropathic Pain by Targeting α3 Glycine Receptors,” Journal of Experimental Medicine, June 2012; 209.6 (2012): 1121–1134; https://www.ncbi.nlm.nih.gov/pmc/articles/PMC3371734/, last accessed May 3, 2017. Jimena, F., et al., “Cannabis Use in Patients with Fibromyalgia: Effect on Symptoms Relief and Health-Related Quality of Life,” PLoS ONE, April 2011; 6.4 (2011): e18440; https://www.ncbi.nlm.nih.gov/pmc/articles/PMC3080871/, last accessed May 3, 2017.